Big data is big news, and nowhere was this more apparent than at this year’s Adobe Digital Marketing Summit in Salt Lake City. Here, we list eight things we took away about big data and data analytics from the event. Data might be the common problem all organisations face in their quest to be more competitive, customer-centric, efficient and innovative, but the approach to tackling it is widely diverse. As was made plain in a panel dispute between Fox Sports and Turner Broadcasting during Adobe Summit 2014, there is no clear agreement on how organisations handle digital disruption and the data explosion that has come with it. Representatives from the two sides sparred over whether to adopt a ‘hub and spoke’ approach to data analytics by investing in centralised, specialist teams, or to bring data insights and analytics capability into existing teams to better utilise. There was also debate on when to invest in technology, what an ‘operating system of data’ actually entails, innovation versus disrupting existing revenue streams, and the extent to which organisations are able to rely on data insights. “Traditionally, the people looking at the churn data sit in the research teams, in brands, ad serving teams. We recognised that to understand the physics and how we were engaging with customers, we had to bring that information together,” explained turner Broadcasting Systems’ senior director of analytics product strategy and data governance, Colin Coleman. But until organisations have the “operating system of data”, and see the clear correlation between data insights and significant bottom-line impact, Fox Sports chief digital officer, Jeff Misenti, said data utilisation is about serving the audience as best it can and protecting revenue streams. “As much we believe the data will guide us into doing things, we are still making great leaps of faith,” he said. “We’re collecting all this information in the hopes it will lead us to new things, but so much is still based on gut feel. Of course, a difference of opinion doesn’t mean that there aren’t clear steps you can take to improve data utilisation and, more importantly, take action. Big data means many different things to many different people. While the official definition of big data is the four ‘Vs’ – volume, variety, velocity and veracity – it’s clear many marketers and companies are using the term to describe everything from basic-level analytics and reporting on internal data sets, through to real-time responsiveness using third-party data consumption and predictive analytics. For Live Nation’s director of strategy and analytics, Jonathan Watts, who spoke on the Thinking Small: A panel on making big data actionable panel, big data ultimately comes back to the business challenges he faces. “I don’t really use the term big data; for me it describes a problem I run into,” he said. Big data can be all different sizes depending on your business, said Digital Clarity Group president and principal analyst, Scott Liewehr. He described big data today as the “phenomenon of utilising data to make more informed business decisions”. “Up until a year ago, I had been using the official definition of big data – which is that it’s data so large your databases can’t handle it,” he said. “But I’ve stopped focusing on the true definition of the term and made it akin to ‘mobile first’ – it doesn’t mean you have to have a mobile strategy first, but it started to make us think from the perspective of the customer. Whatever big data means to you, it’s useless without the business case, processes and people in place to make it actionable. In a customer video during the Thinking Small: A panel on making big data actionable panel session, Apollo Group’s June Dershewitz highlighted the difference between the buzz of big data, and the reality it should be presenting for businesses. She used an example of hourly alerts on her company’s website as something that helps maintain revenue and be more responsive to customers. 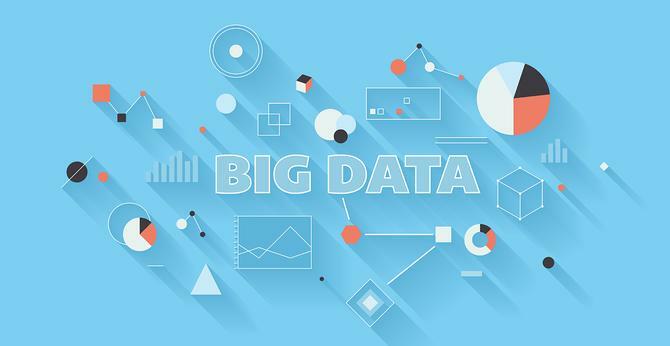 One of the challenges many organisations have in common is where to start with big data. Digital Clarity Group’s Scott Liewehr suggested the best place to get started is by utilising data insights to optimise what you’re doing already. Create and test smaller hypotheses using ‘medium-sized’ data tests: This will give you a good idea of whether the answer is A or B. “It doesn’t have to be perfect,” Watts adds. “Use available data and don’t wait”. Build a production ‘big data solution’. This tool set and insights should then be democratised through your organisation to be used most effectively, Watts said. To ensure her organisation has the people and process in place to utilise data insights, AOL’s senior marketing director, Jennifer Towns, said the group has brought testing and optimisation into every aspect of consumer engagement and content delivery.